In her valedictory speech, Sumitra Mahajan said that in the last five years since June 2014, the House had a total of 331 sittings of 1,612 hours, out of which 422 hours went in vain due to disruptions. Sumitra Mahajan was elected as Speaker on June 6, 2014 after PM Modi took over the reins. 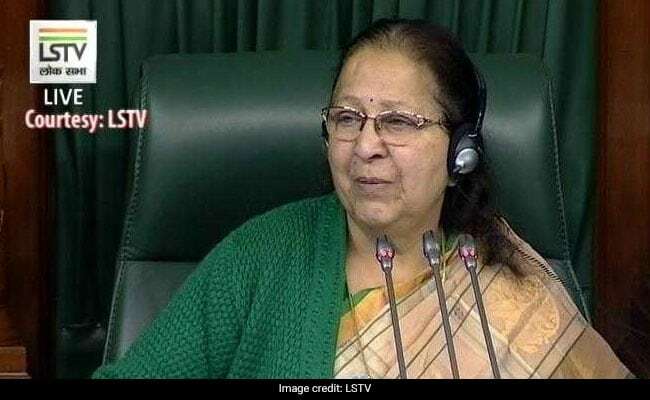 Speaker Sumitra Mahajan on Wednesday expressed her satisfaction over the performance of the 16th Lok Sabha, as its sitting came to an end on the last day of the Budget Session, saying the House passed 205 of the 219 Bills introduced during the entire period. Ms Mahajan was elected as Speaker on June 6, 2014 after Prime Minister Narendra Modi took over the reins. "In the last session of the 16th Lok Sabha, it is time that we introspect whether we have lived up to the expectation of the people during the last five years. What we have achieved and what still needs to be done. We should do an impartial analysis," Ms Mahajan said wishing good luck to the members for the ensuing general elections.